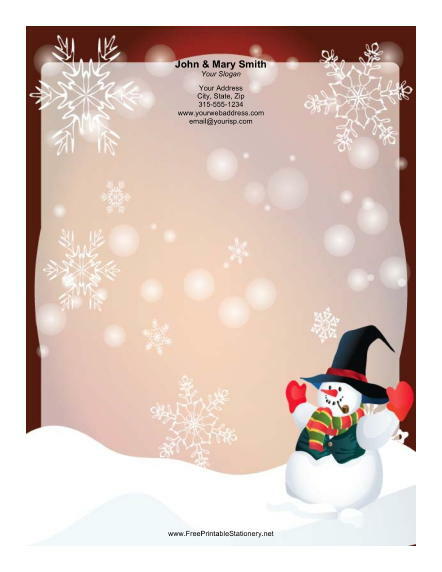 This Christmas stationery design includes a snowman wearing a hat, scarf, and vest, with red mittens on his hands. He sits on a snowy hill smoking a pipe as snowflakes fall around him. The red background will brighten up your family Christmas letters.